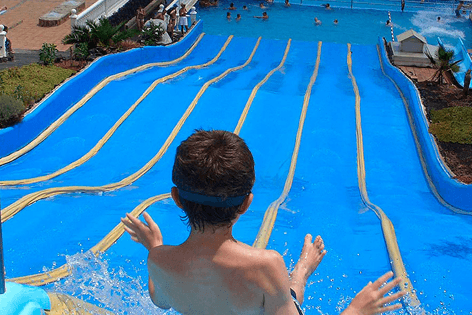 There are lots of fun things to do with kids - especially younger children, with a toddlers' section, including little slides and a bouncy castle. 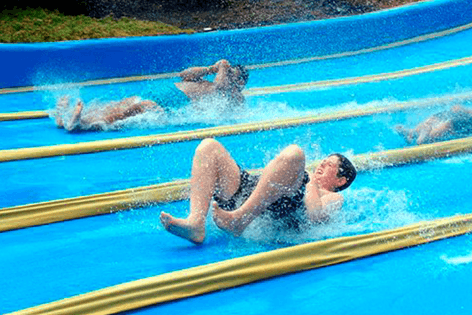 Get the best thrills and chills with the most amazing rides and slides, pools, crazy rivers, chill-out zones and more for all ages to make your visit a memorable one. 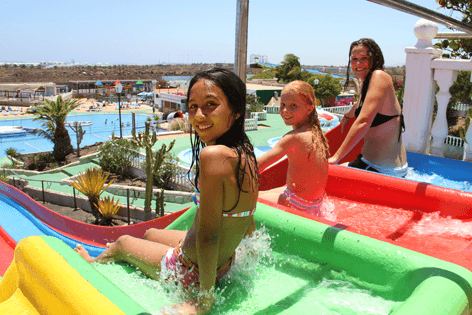 Not only can you enjoy the refreshing water activities and rapid slides in the Costa Teguise water park, you can also take part in some of the best leisure activities in Lanzarote. 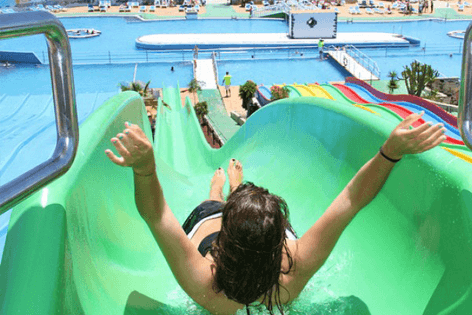 Activities include indoor paint-balling, climbing walls and a kids' adventure trail and a go-karting arena where kids can enjoy a fun race!44. There are also sun beds to relax in and soak u the sun for that perfect tanned look or when you want to have a little time of your own - or a swim in the big pool. 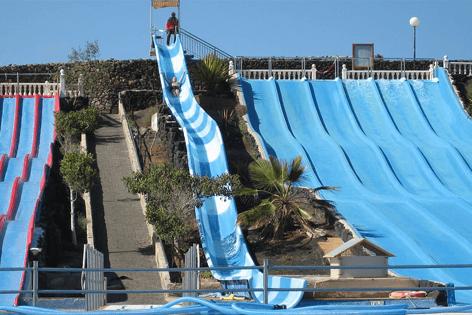 You can easily spend the whole day at the Aqua park Costa Teguise without getting bored at all and there are new slides added almost every year. 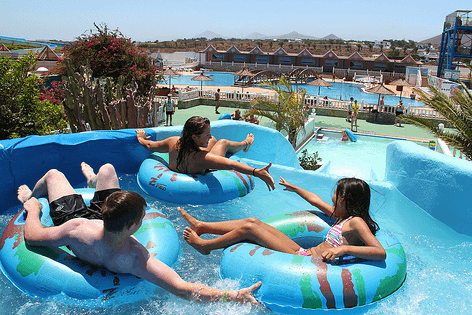 Transport is available from all Lanzarote resorts at a local charge of €4. Opening Timings: Park is open all year round, from 10:00 am to 18:00 pm. 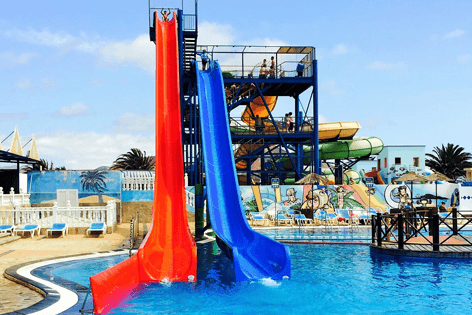 Aqua Park Costa Teguise is one of the must-do things to do in Lanzarote in the glorious sun and warm weather, so book your place in advance for as little as €5.63 pp for Adults and €4.00 pp for kids (up to 12) and spend the whole day to ensure you get the best value for money. 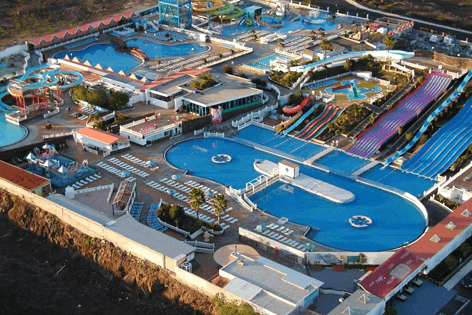 You can even get your tickets via mobile to save time and our bus line will pick you up from your resort in Lanzarote to save you a taxi fare! Bus is €4 extra to be paid directly.